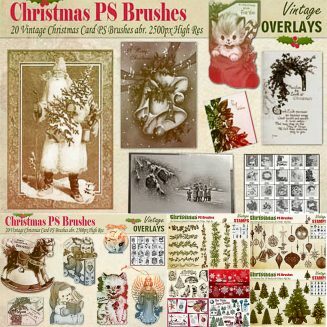 Set of 212 unique retro Christmas and New Year decorative Photoshop brushes, such as: Christmas tree, Christmas Toys, retro cards etc. 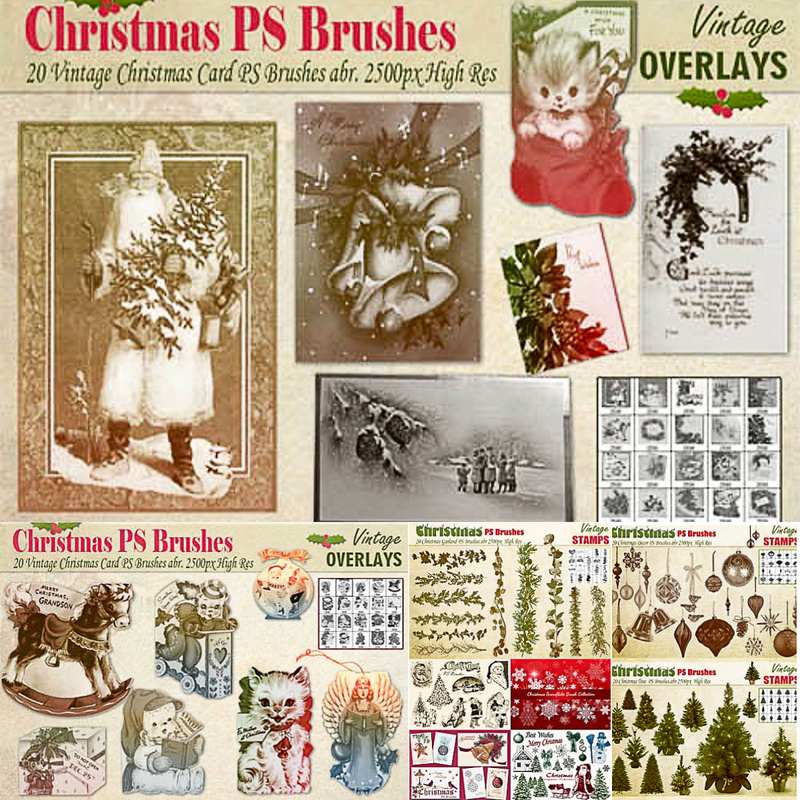 Perfect for creating festive designs. Tags: Christmas brush, Christmas toys, Christmas Tree, overlay, photoshop brush, postcard, retro illustration, ring, vintage stamp.